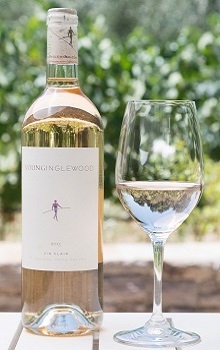 When you pour it, the 2017 Vin Clair from Young Inglewood all but explodes from the glass with its tantalizing bouquet of spring flowers, sweet and tart raspberries and coastal breezes. The color of pale pink copper, the wine's stone fruit and red berry flavors are light as air, yet carry an unexpected heft contributed by its mineral backbone and fresh acidity. Once again, we've perfected a Rosé that travels from the cocktail hour to the table with effortless grace.